We participated in koplas 2017 and released new products, DustZero Plus. 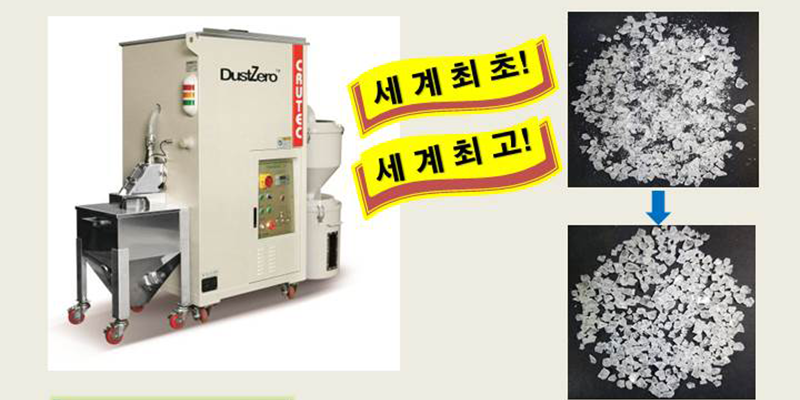 DustZero Plus is upgrade version of DustZero and the throughput is 50~150kg/h for grinding material and 50~500kg/h for plastic pellet. Thank you for your visiting our booth and showing your interest. For this, we could finish the exhibition successfully. Crutec will try to develope continuously.